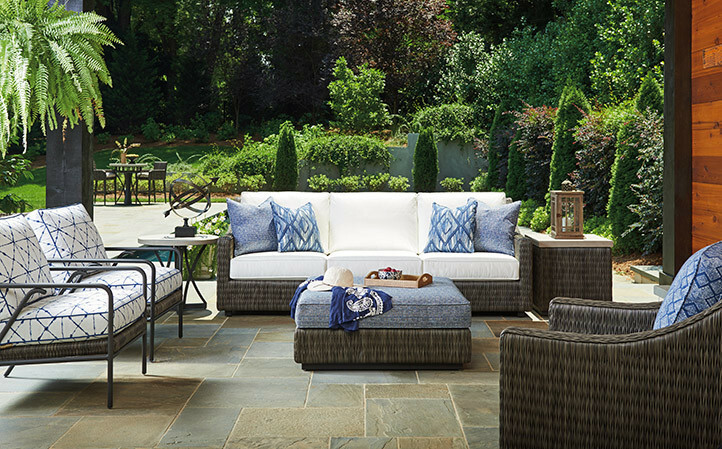 Cypress Point Ocean Terrace features a distinctive V-pattern of all-weather woven wicker, aluminum frames in a custom aged iron finish and contemporary Weatherstone tops that emulate honed limestone. 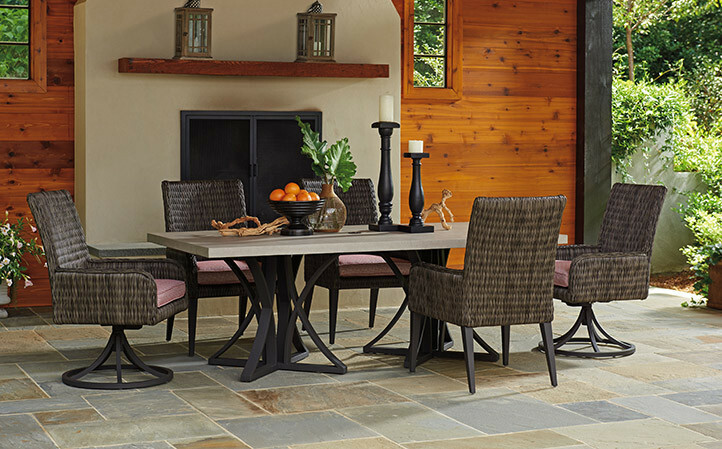 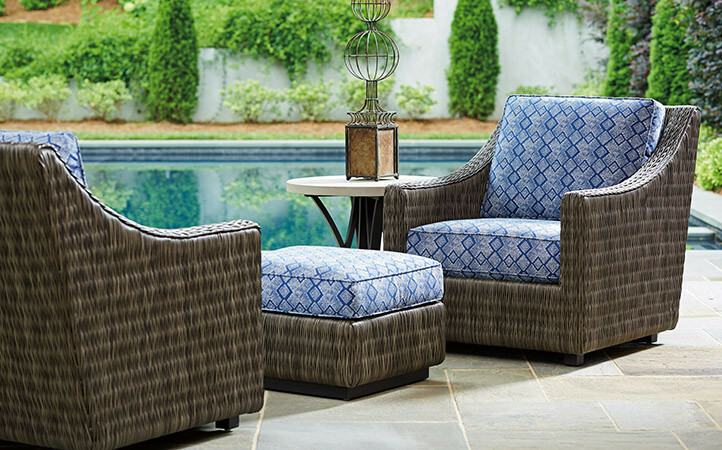 Woven wicker is finished in a rich driftwood gray coloration, offering a sophisticated neutral palette as a foundation for layering striking correlations of performance fabrics. 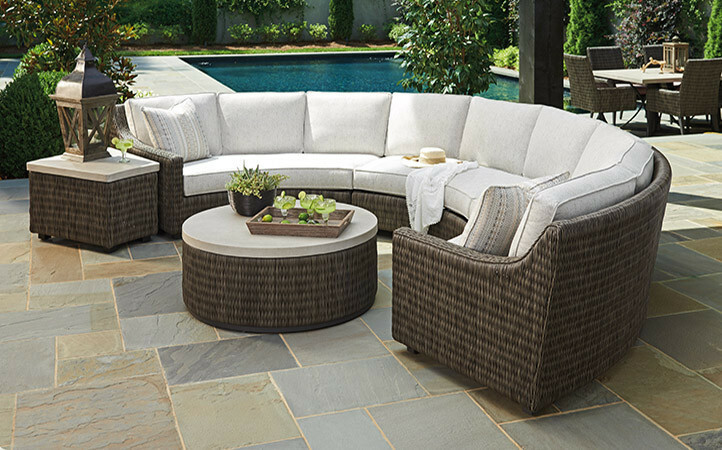 Upholstery configurations offer the flexibility to arrange curved, straight or circular seating to accommodate even the largest of outdoor living spaces.